Multiplication for Dyslexia- Mastery Kit – Multiplication Chart - Mastery the Fun Way! 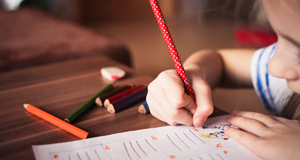 The Times Tales® programs have had great success for kids that are learning challenged and is endorsed by national dyslexia expert, Susan Barton. 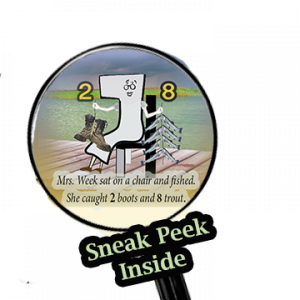 Try the FREE Times Tales® Sample Download used in Step #2! ..All 3 of the learning disabled students noted an average increase in score of at least 70% with the Times Tales® program. (page 18) Students B and C showed the most significant increase in scores at an 84% increase overall. As a homeschool mom of 4 I wish this kit was around with my first 2 kiddos. The difference was night and day from how long it took using traditional workbooks and drills to how fast (not to mention effective!) this kit is. My kids LOVED learning the upper times tables with the Times Tales program and then applying their skills through the fun workbooks. I heard from another parent that Susan Barton recommended the Times Tales program- finding this complete kit was a bonus! Start to finish, visual math--PERFECT fit for the visual learner! 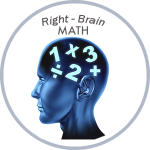 Trigger Memory Co. focuses on right-brain, visual learning for kids. For the past 15 years, they have been providing innovative, out-of-the-box products that break the norm for traditional learning methods. Times Tales®, as well as many other innovative materials, the Trigger Memory Co. has published are taught in thousands of schools, in-home education and by tutors world wide.